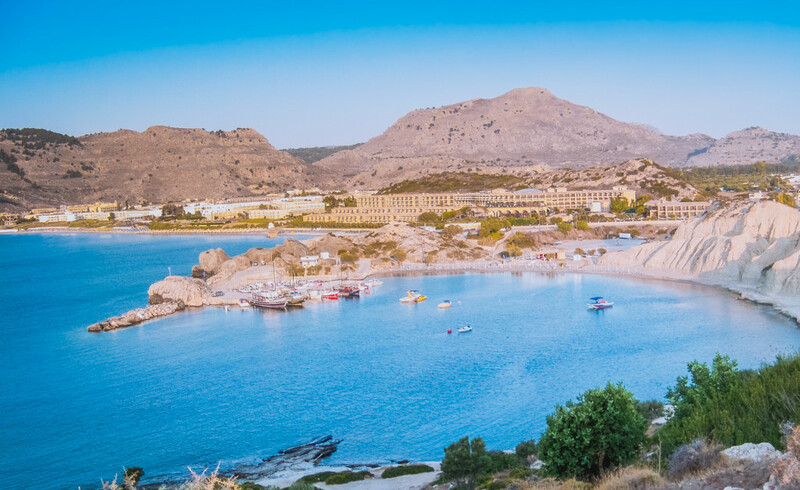 Kolymbia (Greek: Κολύμπια) is a sun-soaked resort in a idyllic place between mountains and the sea with a fine beach for watersports, a few shops and plenty of peace and quiet. Located behind an arc of sand and shingle beach, this unhurried, uncrowded resort offers the essence of typical Greek island holidays attracting a multinational bunch of sun-seekers. Most hotels are designed to merge with the landscape with informal swimming pools dotted through palm sprinkled gardens, but these same relaxing grounds are home to a great range of sport and leisure activities too, and the range of hotels bring quality, comfort and style to relaxed little Kolymbia.